October is Health Literacy Month, an annual, worldwide event focusing on promoting the importance of understandable health information. Health Literacy Month is about encouraging organizations and individuals to take action and find ways to improve health communication. 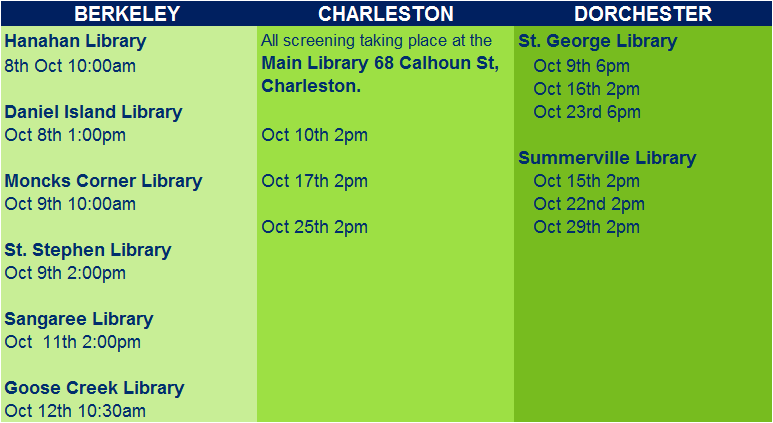 Healthy Tri-County is partnering with Berkeley, Charleston and Dorchester county libraries to implement screenings of the Unnatural Causes video series this month. The docuseries highlights racial and socioeconomic disparities in health care. In conjunction with the video series, a poster competition was conducted for local, middle school students. Eighty students from Rollins Middle School in Dorchester County submitted posters based on the question “How does where I live affect health?” These posters showed how pollution, lack of healthy food choices, safety and other external factors may affect health. Students gained an understanding of contextual problems that influence individual health and investigated features in their own neighborhoods that may positively or negatively affect their health. The students who created the top three posters (pictured above) received Target gift cards. Thank you to Ms. Stuck and Rollins Middle School for a job well done. To learn more about the Unnatural Causes Video Series or about Health Literacy Month please contact your library representative listed below.